Our iconic Bat t-shirt is here to stay. 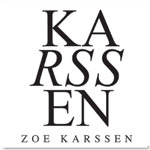 From the very beginning of Zoe Karssen the sweatshirts and t-shirts with our signature bat are a fun addition to your wardrobe. Wear with jeans, a pair of sneakers and you are ready to go.